This device has been widely adopted by most vendors as the heart of their smartphone range simply because it works so well. 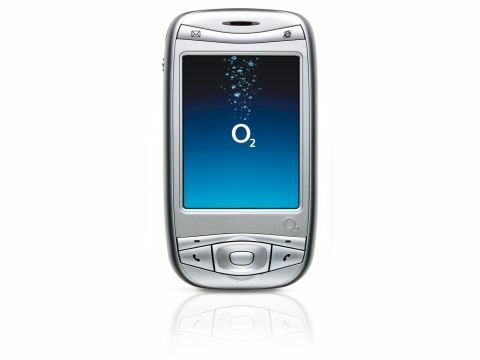 In this instance, O2 has called it the Xda Mini S, and it has been widely advertised by Microsoft as offering an 'office in your pocket'. This is true in many respects, but it's an office so small you'll have trouble not bumping into things. It is undoubtedly stylish and feature-packed, running the Windows Mobile 5.0 operating system, with support for video, MP3 files, word documents and a 1.3 megapixel camera. There are thousands of applications available for the platform on the Internet, meeting almost any leisure or business aim. You can, of course, synchronise with Outlook or, in an enterprise deployment, Exchange Server. The unique selling point of the Mini has to be the sliding screen, opening smoothly to reveal a QWERTY keyboard. The keys are reasonably large for a smartphone and respond with a positive click, making accurate data entry easy. You'll be using two thumbs again, but for short messages and notes, this won't be difficult. The difficulty comes when you have to use the screen. The operating system is not entirely integrated with the keyboard, so there are times when this is inevitable, especially if you use third-party applications. To make things a little easier, the Xda Mini comes with a mini stylus - a collapsible three-inch affair - for this purpose. Unfortunately, the screen is often very crowded and both icons and text are very small, so it can feel as though you are conducting keyhole surgery at times. Like almost every smartphone save the Nokia, the Xda is far better suited to looking at information than it is to entering it. If you can overcome some of its more fiddly aspects, there is a decent machine here that we found pleasing to use.